Bring the festivity indoors this summer with our bright and lively Summer Splash™! 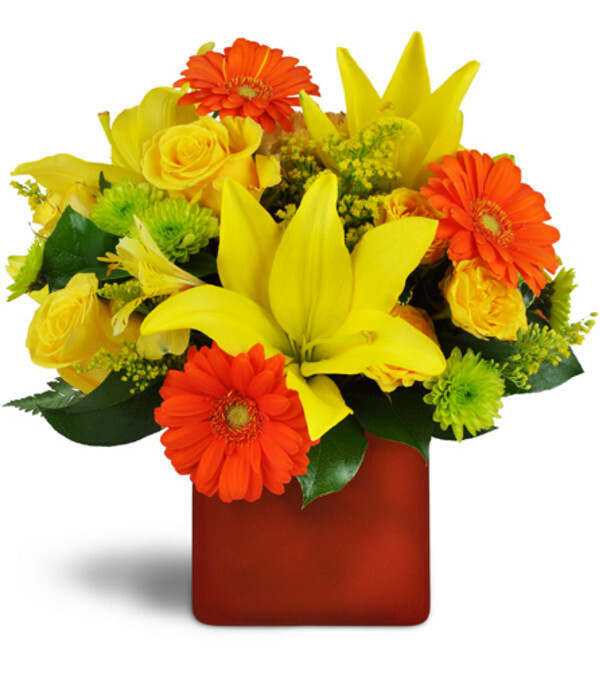 Orange and yellow hues are a splendid way to send cheer and big smiles for any occasion! 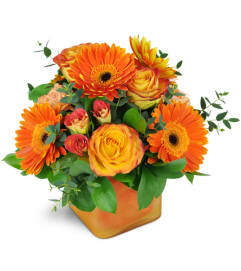 Vivid orange mini Gebera daisies pop among yellow roses, lilies, and more, in a chic orange glass cube vase! 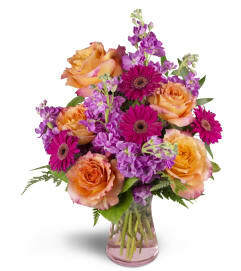 The recipient telephoned and said the flowers were beautiful! She said, "They made my day!" The flowers were received on time and were beautiful. Ordered on line and the whole process was easy and fast. 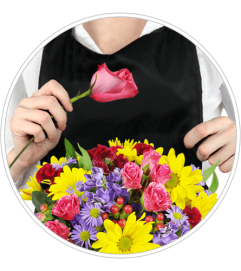 Blooming Hills Florist is a Lovingly Florist in Brea. Buying local matters. Discover how Lovingly supports local florists. Copyrighted images herein are used with permission by Blooming Hills Florist.